BOZEMAN – In the fight against an invasive plant colonizing portions of the state, a Montana State University doctoral student is luring shrub-munching beetles with an odor as tantalizing to them as the smell of bacon and pancakes, or perhaps a barbecue, is to humans. "It communicates that it's a safe area, that there's lots of food," researcher Alex Gaffke said of the scent, which is a synthetic version of a pheromone that northern tamarisk beetles release to alert others to feeding areas. "The beetles are very eager, very gregarious," Gaffke said. "They all want to be where the party is." "We did not expect to see this level of impact," Gaffke said. "We really had no idea whether it would work or not." "This paper is something pretty special, because it really shows a proof of the concept," said David Weaver, a member of the research team and a professor in the Department of Land Resources and Environmental Sciences in MSU's College of Agriculture. Weaver said the research has already generated "great interest" among land managers tasked with controlling tamarisk, which has gained a foothold along waterways in eastern Montana. The invasive shrub — also called saltcedar — crowds out cottonwoods and other native vegetation, consumes inordinate amounts of water and forms thickets so dense they contribute to flooding. 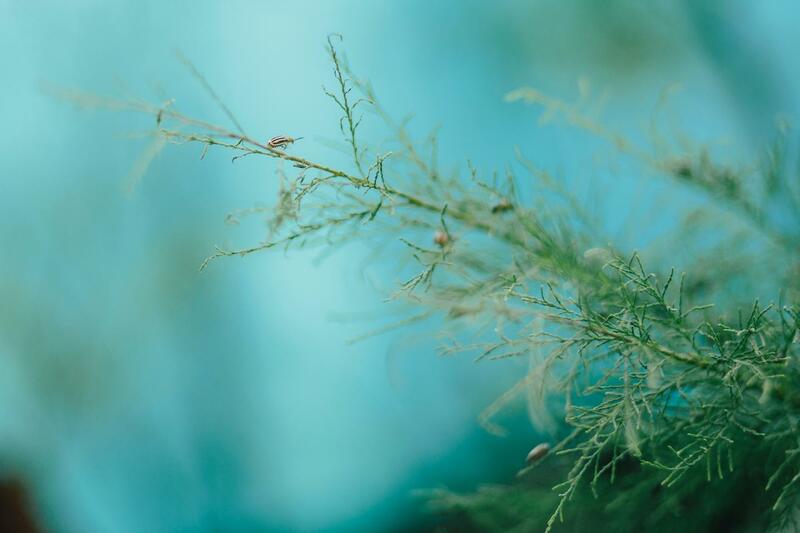 Starting in 1999, the U.S. Department of Agriculture released northern tamarisk beetles from Kazakhstan and China as a form of biocontrol at the Wyoming study site and across the western U.S. But in areas of Wyoming and Montana, where tamarisk is spread more thinly on the landscape, the beetles — which eat only tamarisk — struggled to reproduce and achieve a density that could have a significant impact on tamarisk, according to study co-author Sharlene Sing, a research entomologist at the Rocky Mountain Research Station in Bozeman, which is operated by the USDA's Forest Service. Compared to other methods of battling tamarisk, which include herbicides and mechanical removal, the synthetic pheromone would be a more precise, lower-cost method to use in areas where tamarisk is starting to colonize but hasn't yet dominated, such as along the Yellowstone River near Billings, Sing said. Gaffke, a Bozeman-area native who earned his bachelor's in environmental biology from MSU before starting his doctoral research with Weaver, is working on another paper that will make practical recommendations to land managers about how to use the beetle odor. "I like working on taking science … and developing tools to apply it in the field," he said.